Final Fantasy X -Will- is the plot twist I never expected. For long time fans of the series, prepare to have the foundations of everything set up in Final Fantasy X and X-2's endings shaken. The audio drama gives lots of dynamic twists but in it's successful efforts to hook the listener in, it forgets to finish the story. Before I begin my review, it's important to state that there is a background story to this audio drama. There is an official Final Fantasy X-2 novella, called Final Fantasy X-2.5 ~Eien no Daishou~ that occurs six months before Final Fantasy X -Will-. This story hasn't been officially translated into English (although I'm sure if you looked hard enough, you could find a fan translation) but Final Fantasy's Wikia and this post from Powblock will fill you in. I warn you - this will already begin to break the foundations of what you thought was Final Fantasy X/X-2 and Japanese fans weren't too happy about this novella, with it's Amazon page holding two stars. I haven't read it myself (although I would love to read it one day just to see if it's as crazy as everyone says) but it does provide some needed background to Final Fantasy X -Will-. 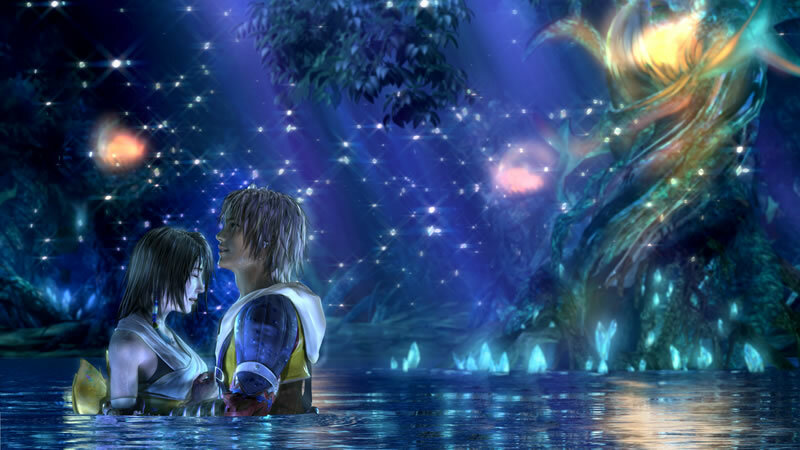 Final Fantasy X -Will- is set a year after the end of Final Fantasy X-2. Spira seems to be in a unusual state, with unsent reappearing and senders having to clean up the mess. Yuna is back at Besaid Temple praying as priestess to the Yevoners. Lulu is the mayor of Besaid and Wakka is basically Lulu and Yuna's assistant. Tidus is also a star Blitzball player and his voice opens the story. We are quickly introduced to Chuami and Kurgum, two new characters who are members of Spira's Council. Kurgum is a soft-spoken sender and Chuami is his hot-headed assistant, although she acts as if she's the real leader of the two. Chuami is the real star of this audio drama, with her bold questioning of Spira and Yevoners ways actually raising some good questions about what has come of Spira's people. Her lineage in the story gives just the right amount of surprise and believability and she would be a valuable character if Square Enix ever decided to expand upon this outlandish story. Without giving spoilers, my problem with this story is basically it takes a huge step backwards and stops before explaining it's self. The story throws everything at you - relationships ready to fall apart, Spira's peace becoming endangered again, a character that challenges every bit of Spira's new society and favourite characters either lying to each other or acting in ways we never expected. And then it ends, with Spira's holding very similar problems to the one's in featured Final Fantasy X. And there's no 'To Be Continued...' in sight. Does this mean Spira is just left in a state of disarray and potential destruction? I certainly hope not, as after playing through Final Fantasy X and X-2 and working to save Spira twice, that's a strange way to end things. Can we just go back to this? Unless this is a set up to a new game in the Final Fantasy X series, while the story was certainly interesting, it felt like a killjoy. All that work in Final Fantasy X and X-2 just to feel like the world is basically back to where it started? This will never make sense to me. I don't dislike the story, but if it's not a prequel to something new then I don't really understand it's place in the series, except maybe as an alternative ending. If you've just finished Final Fantasy X and X-2 and are dying to find out what the characters are doing, I would approach the audio drama with caution and a pinch of salt. No one knows if this story will be continued. As a stand alone story, while still managing to maintain interest throughout 30 minutes, Final Fantasy X -Will- introduces too much and forgets to explain itself, leaving the listener either in a state of suspense or disappointment. Certainly interesting, but it feels incomplete. 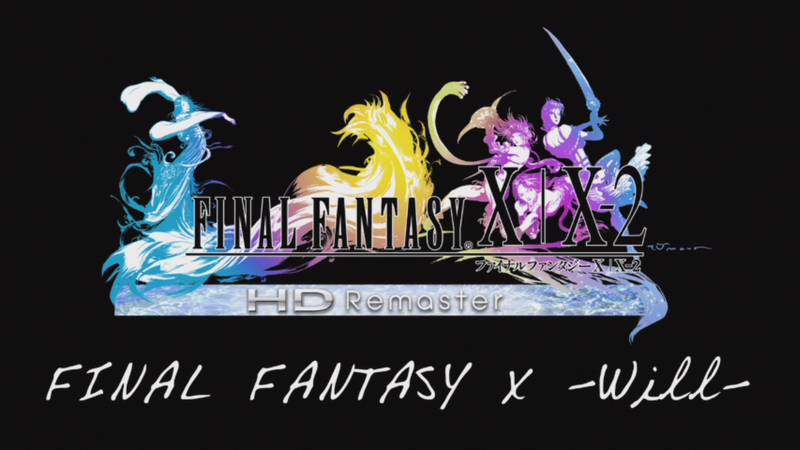 Final Fantasy X -Will- appears on Final Fantasy X/X-2 HD Remaster, available from Amazon and Play-Asia.